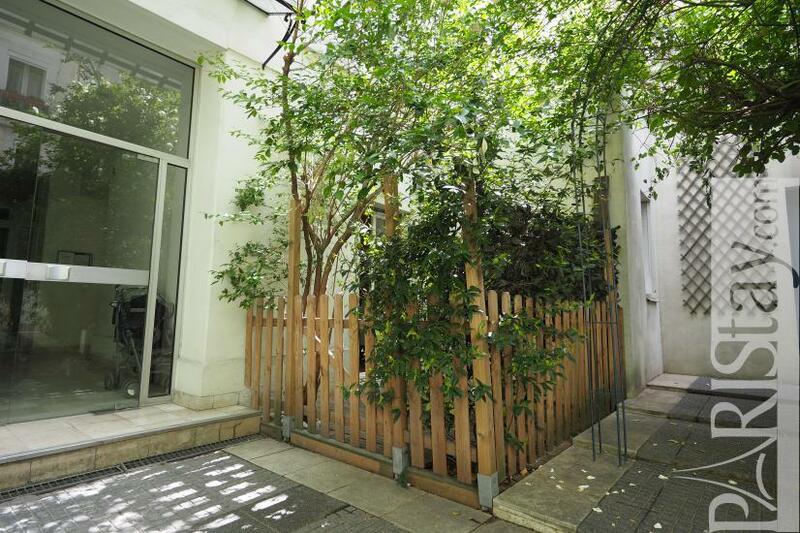 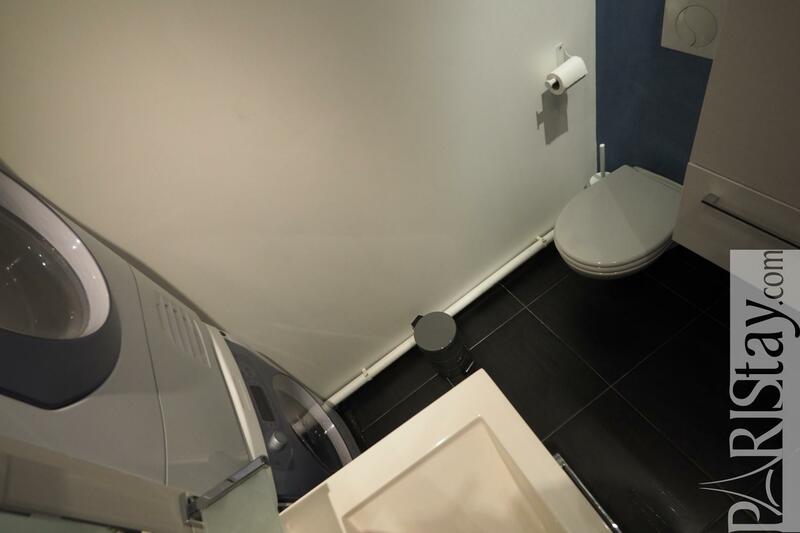 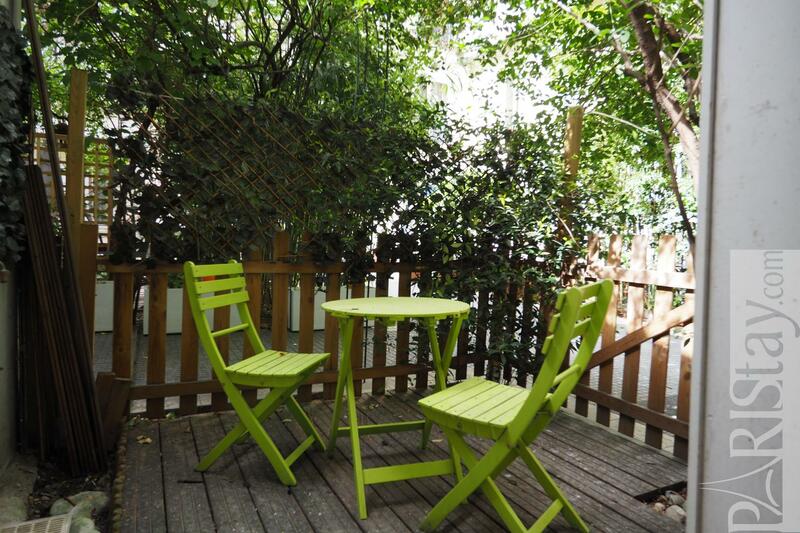 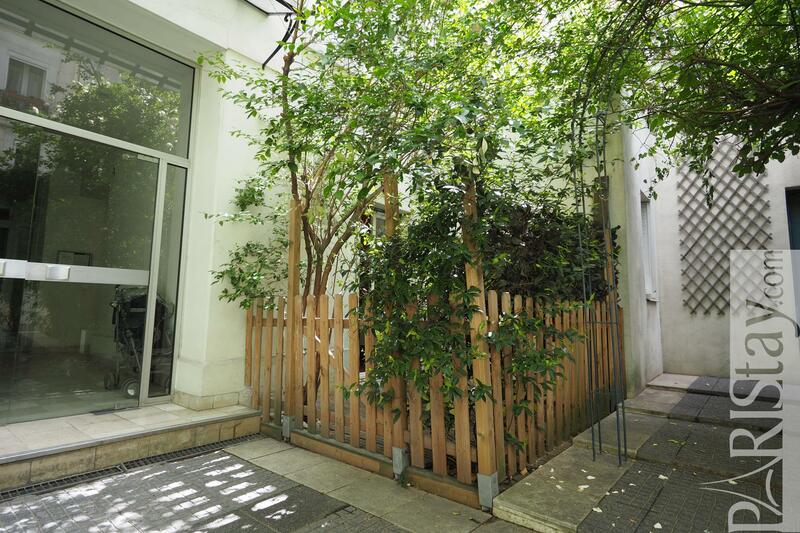 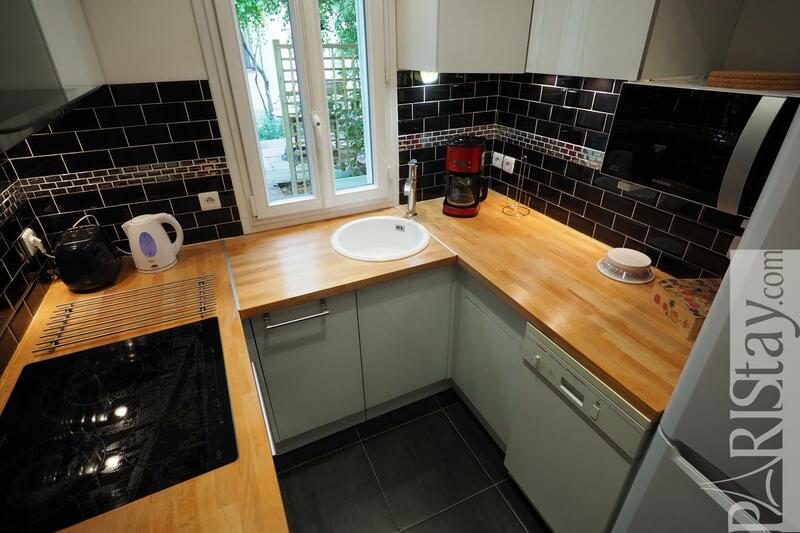 Charming studio apartment with a private terrace located next to Gare de Lyon and Bastille, in a residential building, on ground floor on a quiet courtyard. 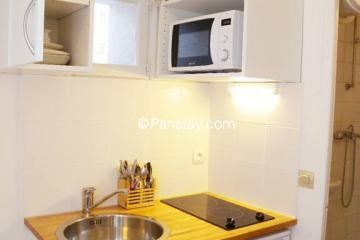 This very conveninet location allows to go easily everywhere thanks to various transportation links that includes direct buses to the airports. 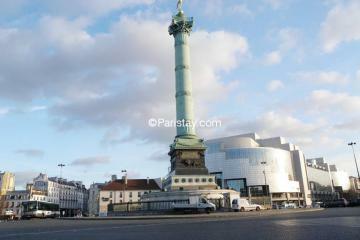 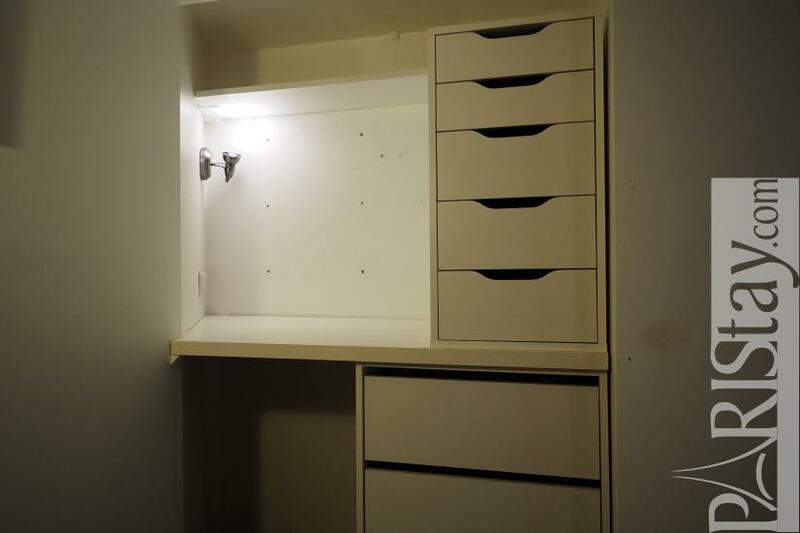 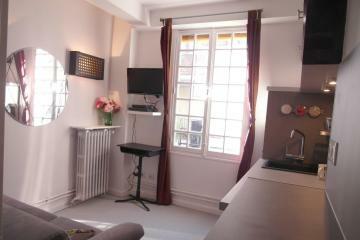 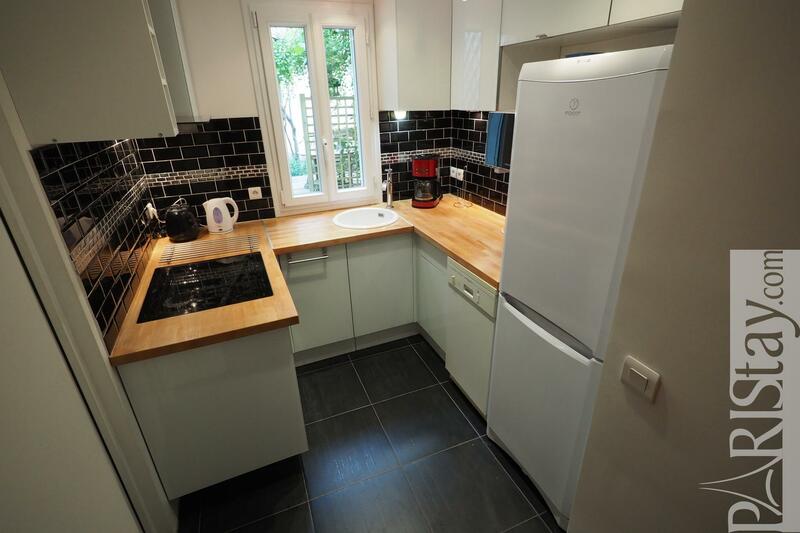 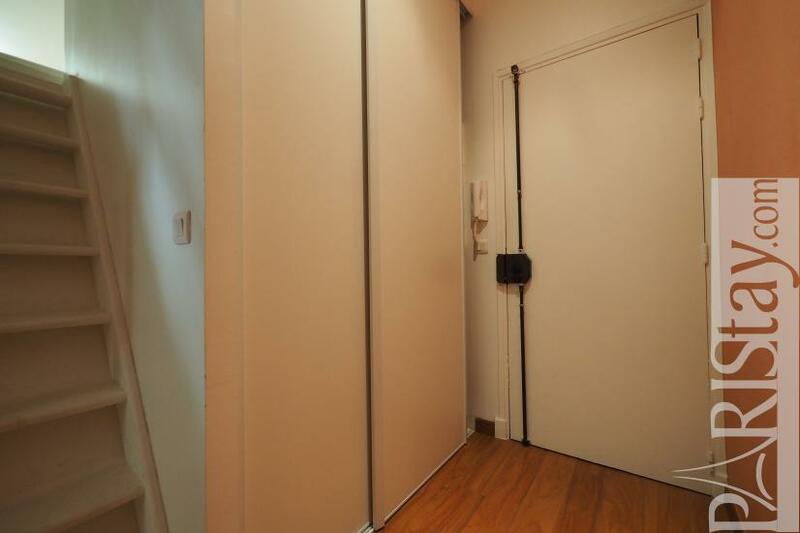 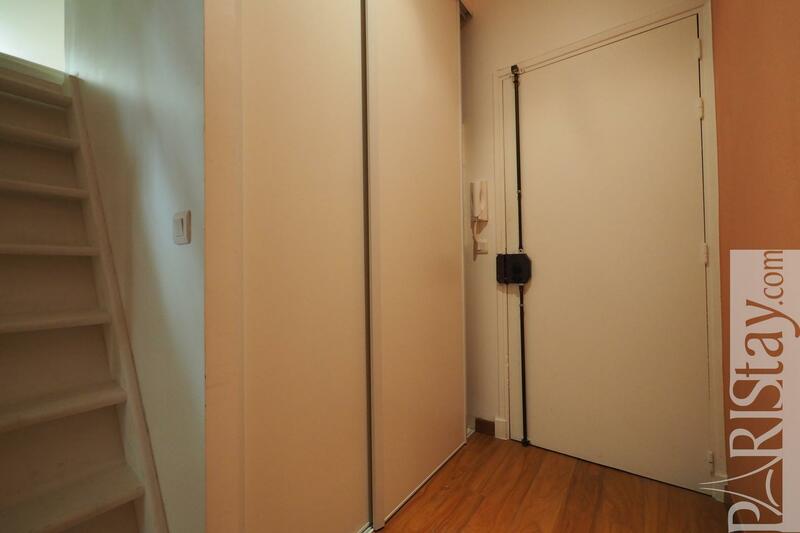 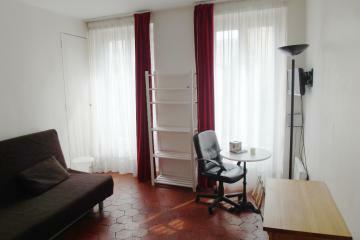 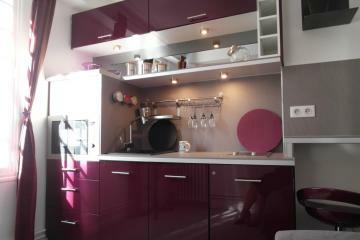 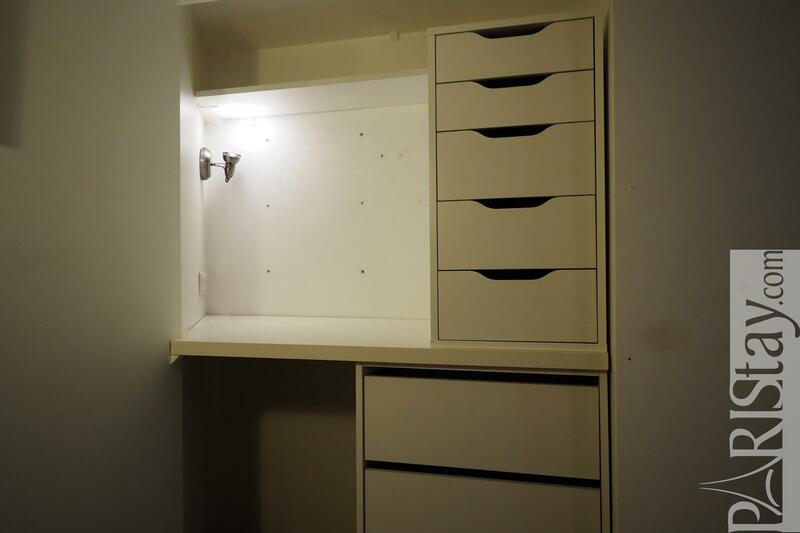 The Paris furnished studio for rent has been renovated and fully equipped with quality furniture. 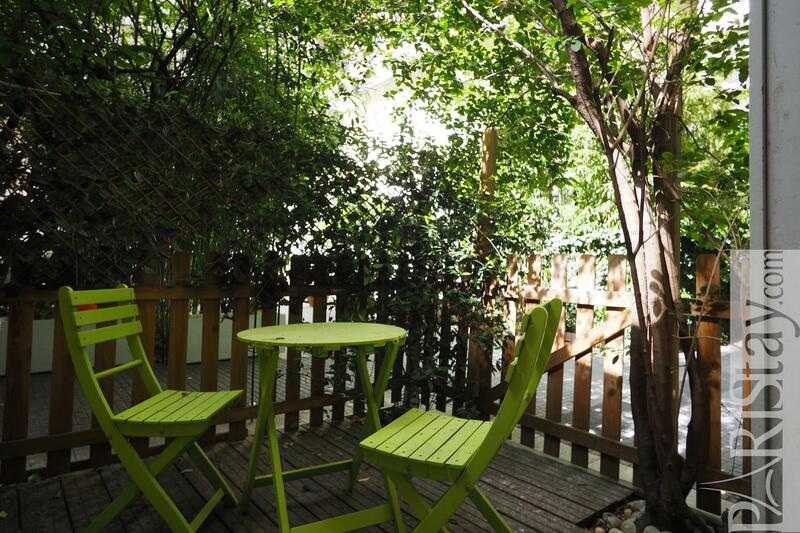 It offers a cosy living room open to a charming terrace, where you'll love relaxing outside. 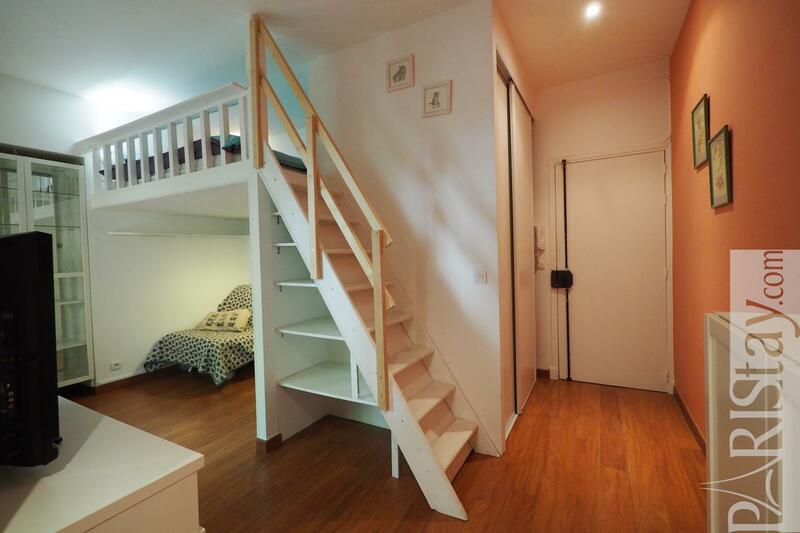 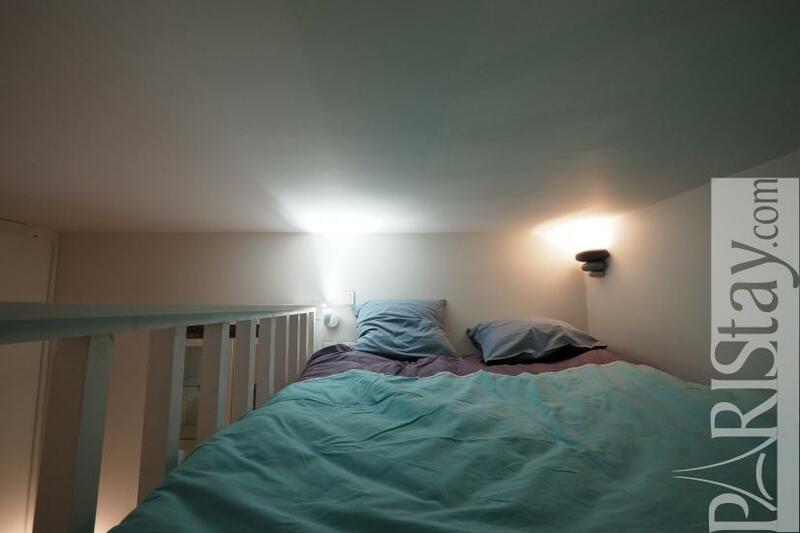 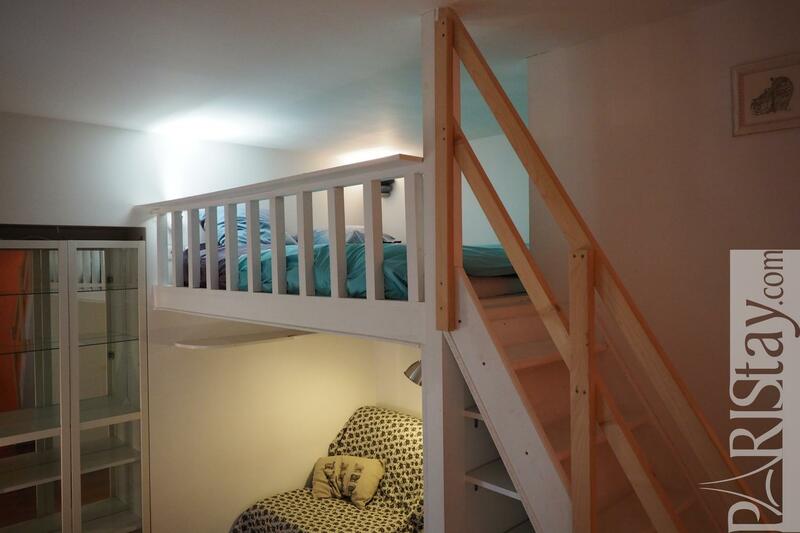 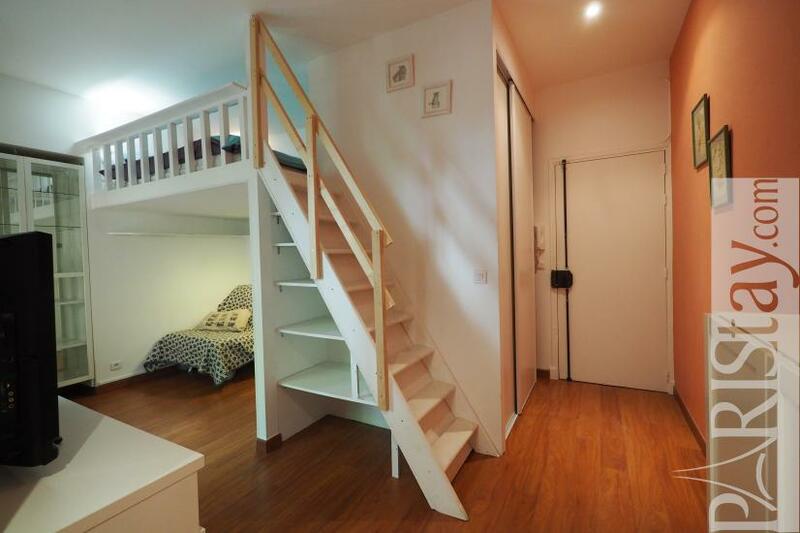 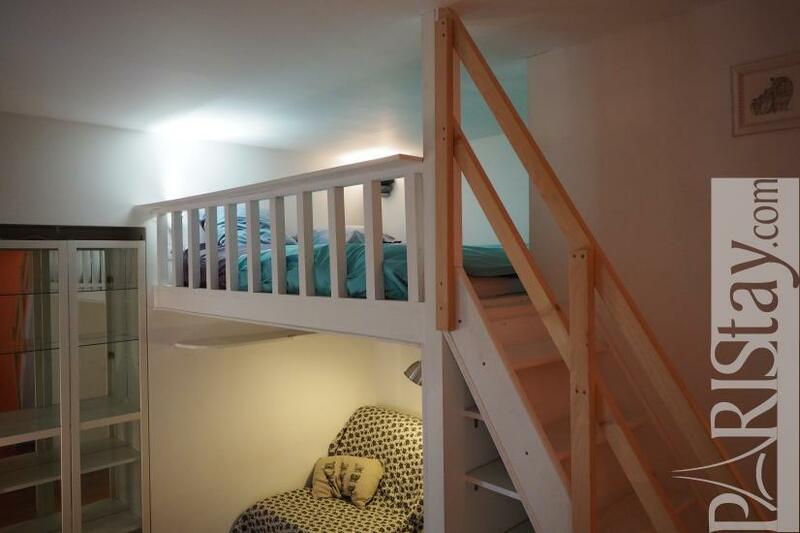 A secured staircase leads to a mezzanine equipped with a king size bed. 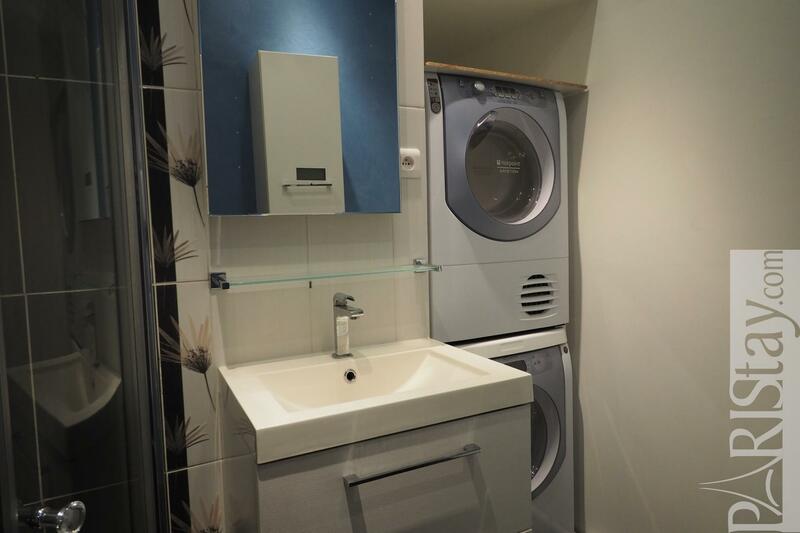 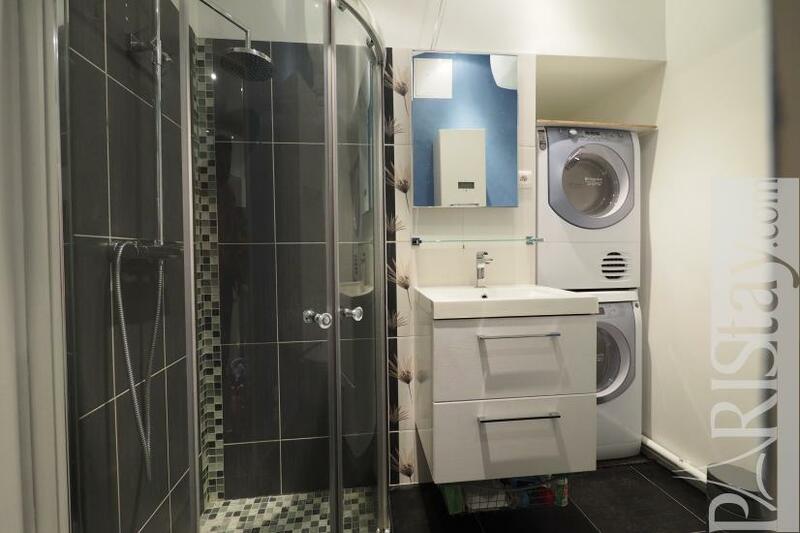 There is a fully equipped kitchen open to the living room (dishwasher, fridge, freezer, oven...) and a spacious bathroom with WC, washing machine and dryer. 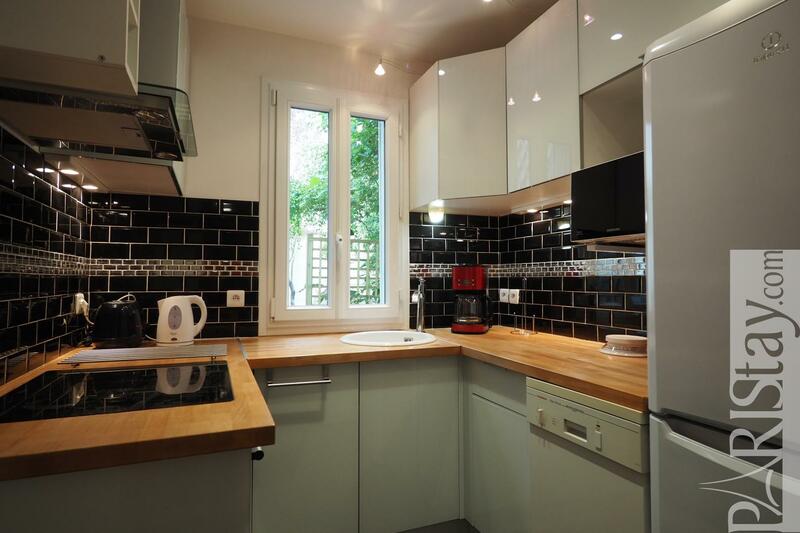 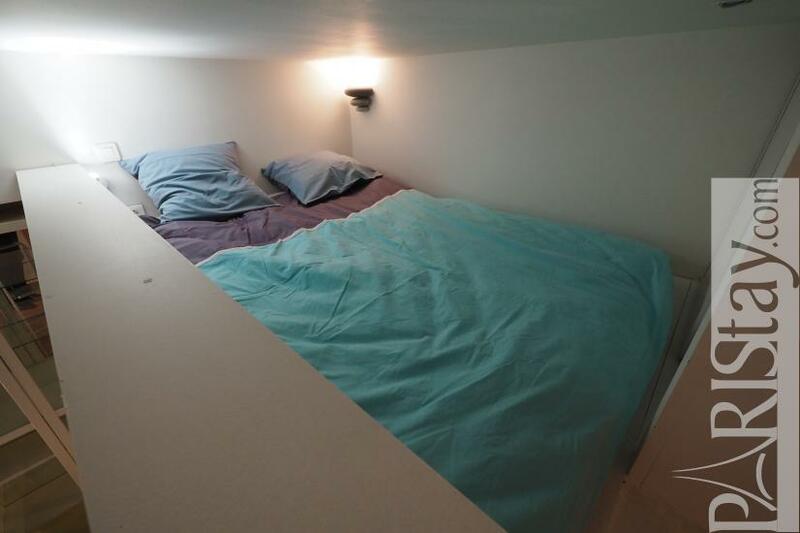 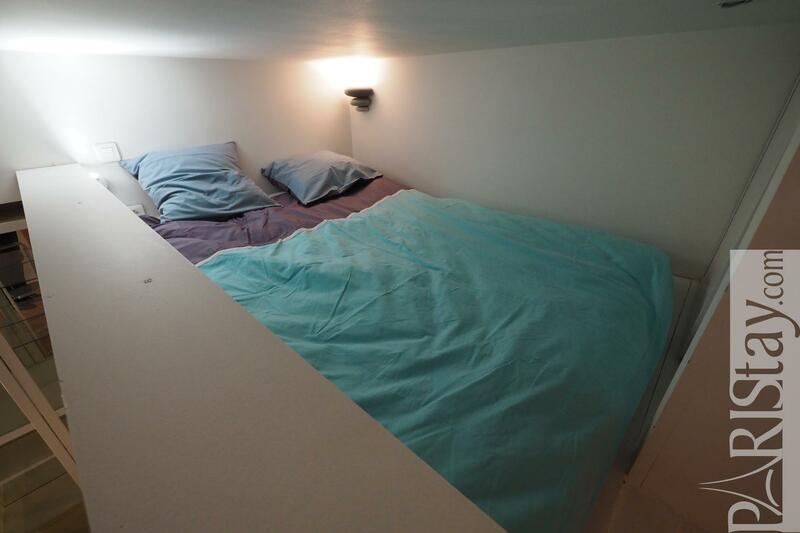 Perfect for long stay rentals in Paris! 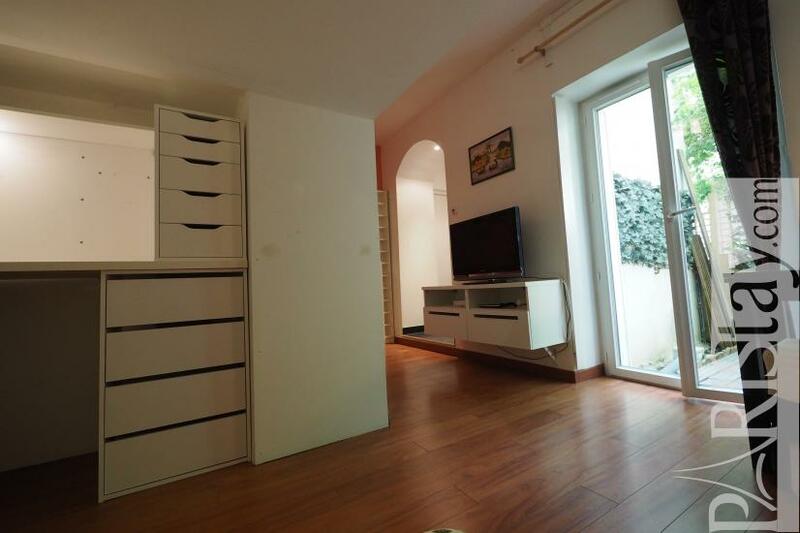 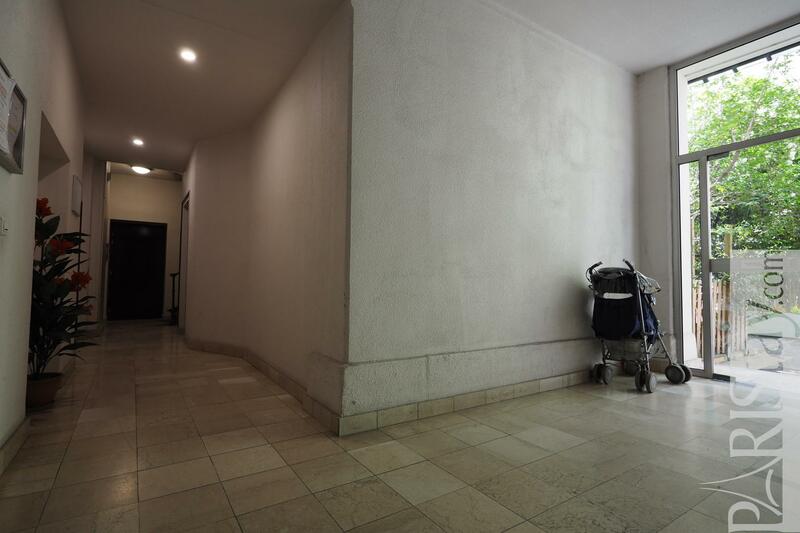 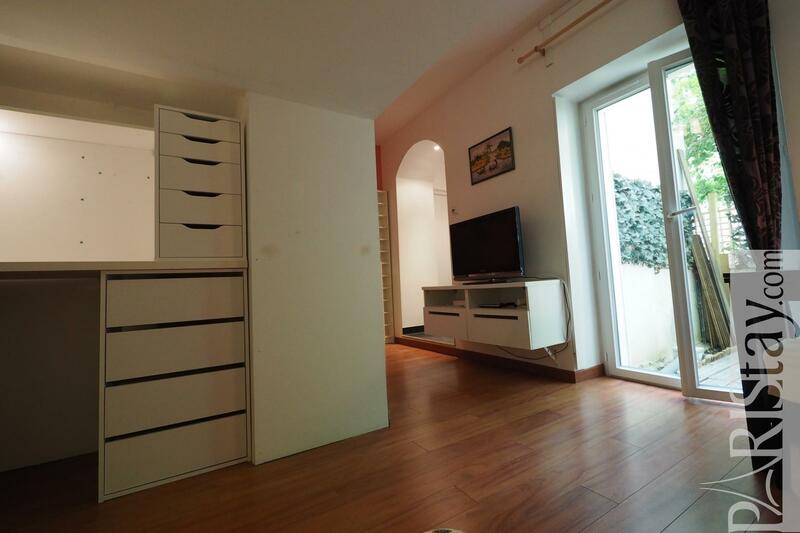 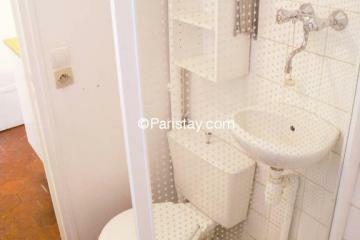 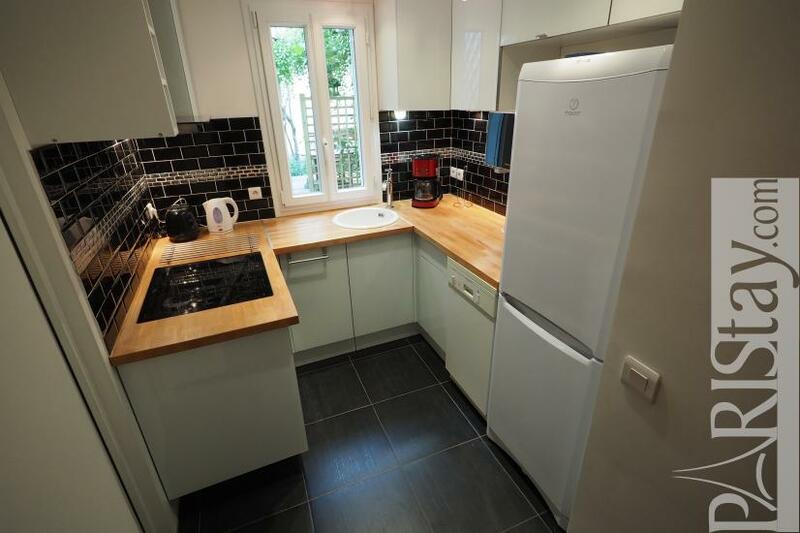 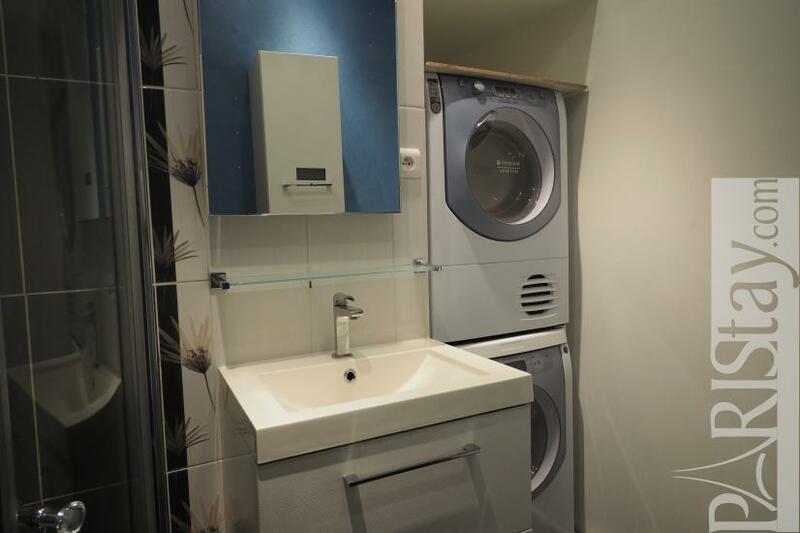 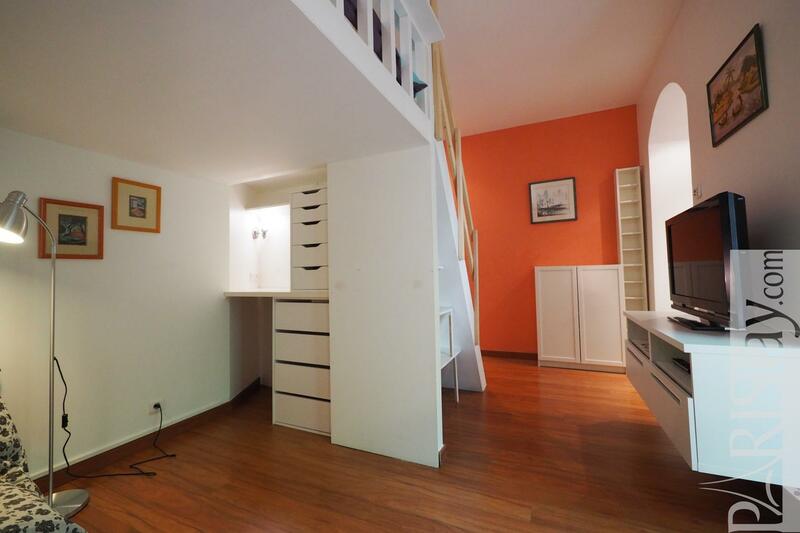 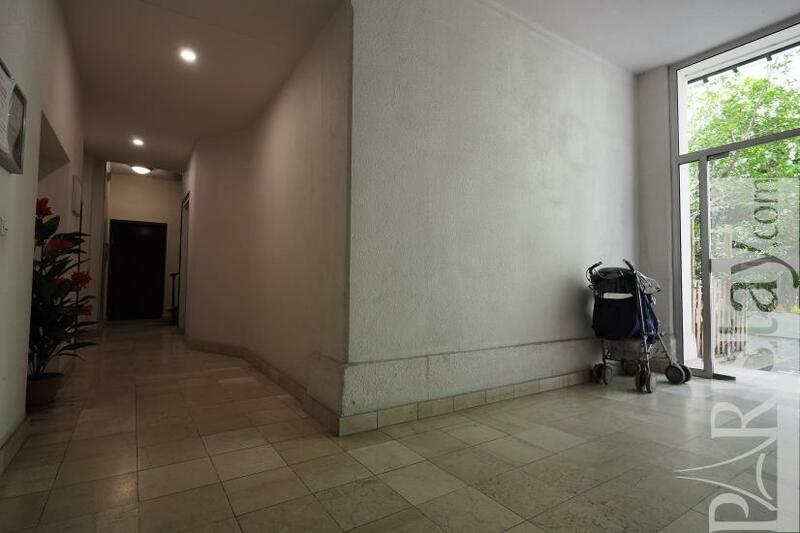 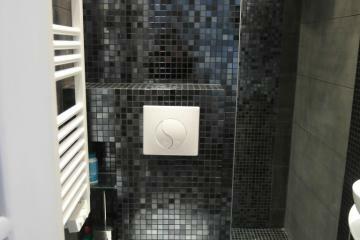 ground floor, with Lift, Studio Appartement, furnished, Approx: 25m² / 269 Sq.Ft.